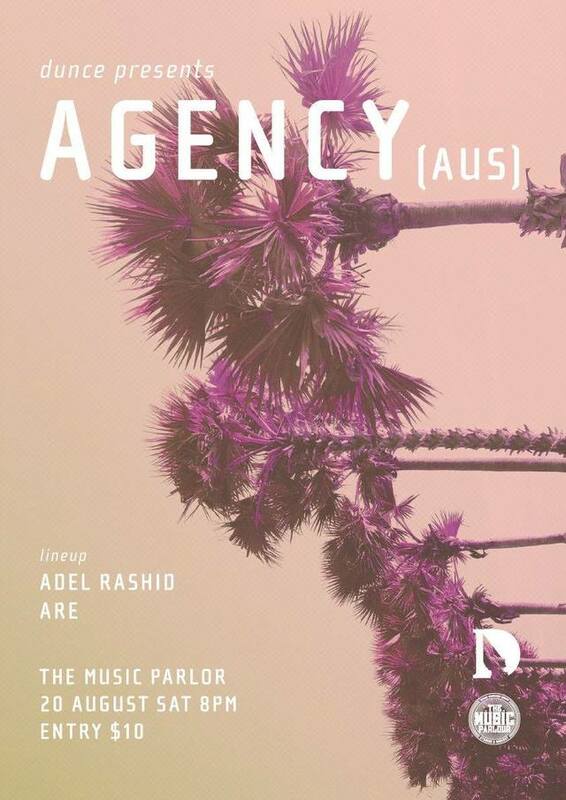 Irrepressible Australian band Agency will be headlining The Music Parlour this Saturday, as part of an intriguing Dunce-curated showcase (also featuring Are and Adel Rashid), and the excitement is certainly starting to build. Fronted by multi-genre musical mastermind Shoeb Ahmad (who last came to Singapore as part of Spartak), Agency is a fascinating band with a curious contrast of influences. Immediately, the listener is taken in by their ferocious, Fugazi-esque snarl and the sludgy basslines, but its their precociousness underneath it all that truly makes them memorable. It's a wonder how they're able to marry noise rock sensibilities with artful indie experimentalism and an almost jazz-like slant on post-punk, but somehow Agency manages to tick all those boxes while still sounding compelling and cohesive. Perhaps its a by-product of their members' other musical projects (the band is an amalgamation of current and former members of notable Aussie outfits Hoodlum Shouts, Spartak, A Drone Coda and Tangents) or perhaps its simply down to their angular and restless approach to songwriting - whatever the case may be, Agency's unique sound is perpetually enthralling. Ahead of their forthcoming Singaporean debut this weekend, we got into an in-depth discussion with bassist/vocalist Luke Robert and guitarist/vocalist Shoeb Ahmad about their latest release on boutique Brisbane-based label Sonic Masala. Entitled I Know I'm In Flames, we discover the process and inspirations behind their engaging four-track EP. All the songs from I Know I'm In Flames were recorded at the same time as its companion release Do We Go It Alone?. It happened pretty quick, taking us around 3-4 sessions to get all the basic instrumentals down - recorded live in one room - before overdubbing vocals and other synthetic textures afterwards in short bursts. Some of these songs might make re-appearances on the next album but it stands, these recordings document an important time and a place for the band's musical growth and marks some of our best music to date. Luke Robert (bass/vocals): The lyrics are based on a news story detailing a floodplain in the Northern Territory of Australia (Maningrida). The floodplain is infested with a mega-cluster of tarantulas (25,000 of the things!). The arachnologist who made the discovery described it as "so far off the scale … two or three hundred in one spot." I dig that there are still natural wonders being discovered. No one knows why the tarantula population has flourished but researchers suggested a plentiful food source or lack of a predator in the ecosystem could be the catalyst. There was humour in the story too, with the arachnologist actively recruiting researchers to the region and advising "you’d need to be able to run", not from the tarantulas but from the buffaloes, hence the title. Shoeb Ahmad (guitar/vocals): The best thing about being in this band is that there is no shortage of ideas and we push each other creatively. Apart from being the first lead vocal for our guitarist Hew Atkin – a great vocalist in his previous bands – this song really shows the depth of our sonic possibilities, from the slow burning bass and guitars at the start to the lush ending with pianos, synths and celeste in the background. It was also great to have Eadie Newman (from Canberra band Passive Smoke) to sing harmonies with me before and after Hew nails the end verse, all of which I wrote in a 10 minute burst of inspiration while sitting on a bullet train in Japan as a fictional response to Luke’s words. Luke: I believe Shoeb had tagged 'Drive It Down' as a potential song for his solo work. For some reason, we decided to have a crack at it and it worked so well that we claimed it as an Agency song. The song has a laid back tempo for the verses but lifts for the chorus - Shoeb has a knack for bringing in indie style vocal hooks. The challenge for us is not oversaturate the melody with too much noise. 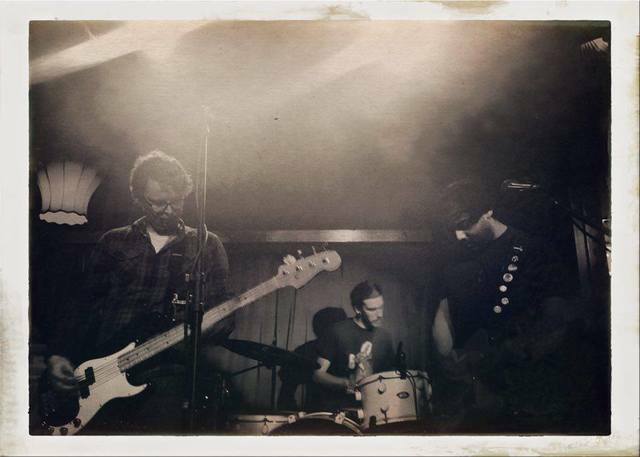 We are big Husker Du/Sugar fans and are keen to push the melodic-noise threshold when writing songs. Shoeb: The others in the band come from playing in heavier bands, whereas I’ve probably been more of an indie nerd, so I was pretty nervous about bringing this straight up pop rocker to the party and getting torn to shreds over it but to their credit, they dived right into it and make it what it is! As with the second half of 'Buffaloes', we use counterpoint vocals during the bridge, this time between Luke, Hew and myself. I love juxtaposition within text and here I really wanted to use the different voices to take on the character’s different train of thoughts. Luke: Have you ever comprised on a principle or committed to something that doesn’t necessarily align with your own ideals? The instant gut-feeling that you should have held steadfast? I have. But instead of dwelling on that feeling I wanted to explore the idea of "oh I’ve done this, what now? How do I turn this into a positive experience or get something positive out of this?" I think the idea is that we’ll flesh this out on another version in the future but it came out of the writing sessions for these EPs, felt good at the time and fits in with the EP aesthetically so we wanted to include it. Shoeb: This was cut from a longer instrumental jam, built from a brutal bass-line and slammed to the ground by drummer Josh Bates’ pounding rhythm. Adam J Bragg (EP graphic designer) and I had been talking about This Heat so I kept that in mind when cutting the track into shape, the notion of keeping all good sounds, even if only as a snapshot. The slap-back delay is in homage to Iggy and The Stooges. Luke: We love the idea of having different recorded versions of songs and again this version fits in aesthetically with and links this EP with Do We Go It Alone? from earlier this year. Hew nailed his part in one pass. I love that Shoeb and Hew bring two different guitar approaches to the table and manage to coerce the two together without overbearing one or the other. Shoeb: Our album The Stillness Of Speed was dotted with found sound and instrumental collages, indebted to the artiness of post-punk. This song was written with two guitar parts and drum kit, which we omitted for melodica and 808 rhythms on Do We Go It Alone? so this is both a reprise and a nod to the future. The Japan influence comes full circle with the sounds of the Tokyo Metro set adrift amongst the ambience.